Saint Lawrence Foundation recently set up a Financial Fund and is now looking for a Fund Manager. This individual will reside in Sierra Leone on a full-time basis and ensure that the Fund’s resources are used to implement development projects in line with the Foundation’s principles and objectives. Please email a detailed resume and cover letter explaining your interest in and qualifications for the position. Both documents should be in English and sent to Sergio Vitali, the person handling the candidate search. 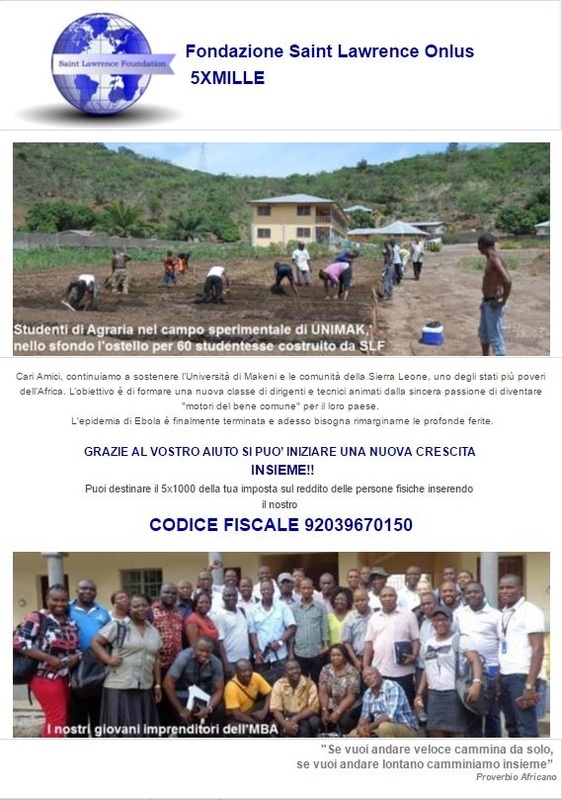 The Foundation, in cooperation with the Scientific Committee of EXPO, the Milan University, UNIMAK, and Sierra Leone’s Authorities, took the initiative to give assistance to the management of Sierra Leone’s pavilion at EXPO 2015. This was made by financing, for the whole period of the event (till the end of October), the services of four young graduates (three experts in communication, and one in Agriculture). The cooperation among the above mentioned Agencies was established in a meeting with the participation of the Minister of Agriculture of Sierra Leone. 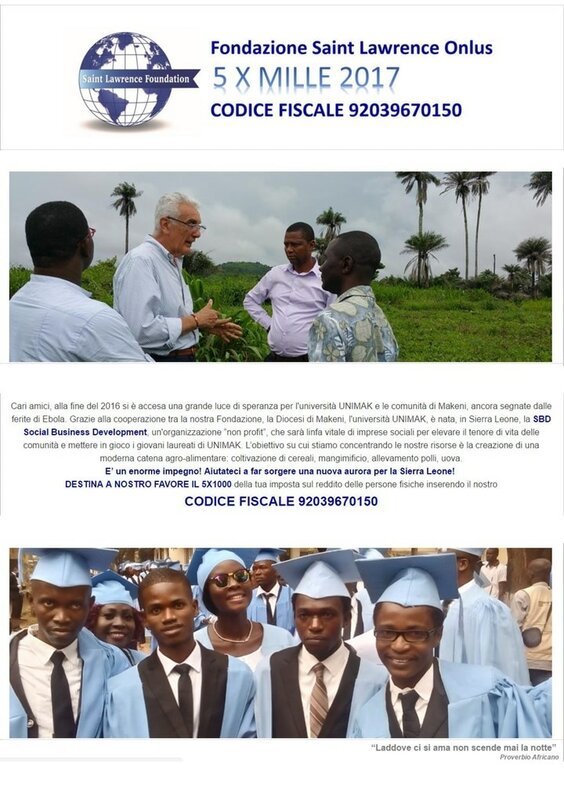 The objective is to increase, by means of videos, photo exhibitions, and other communication events, the visibility of UNIMAK/UNIMI and of their efforts to establish in Sierra Leone a sustainable agricultural development aimed at achieving Food Security, and exploiting the Biodiversity present in country, with special regard to rice. UNIMAK has started a shortened Academic Year 2014-2015, with lessons beginning in April and closing in September 2015. Owing to the fact that the country is not yet ebola-free, the Agricultural Faculty Courses will be held by local lecturers. 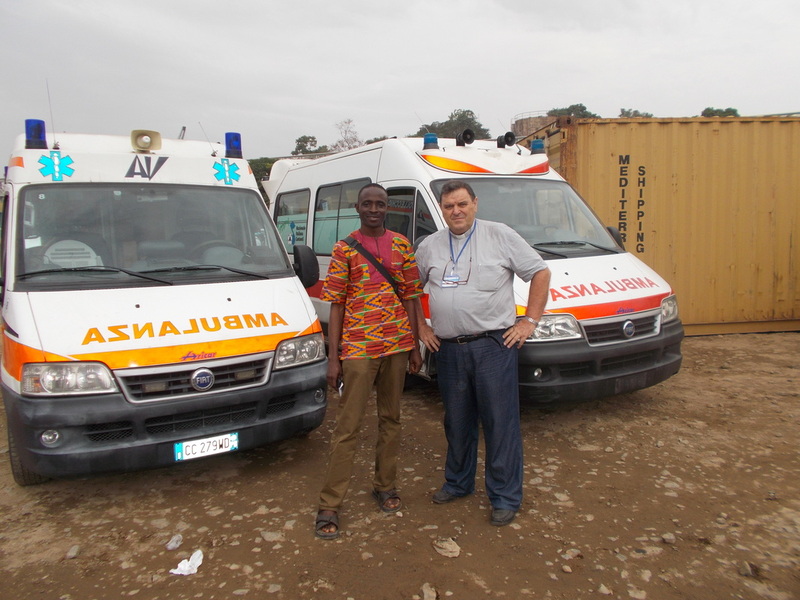 The two ambulances loaded with medicines, protective clothing, and food, have arrived in the Makeni Diocese’s Holy Spirit Hospital. Their transportation from Italy has been paid by the Saint Lawrence Foundation. 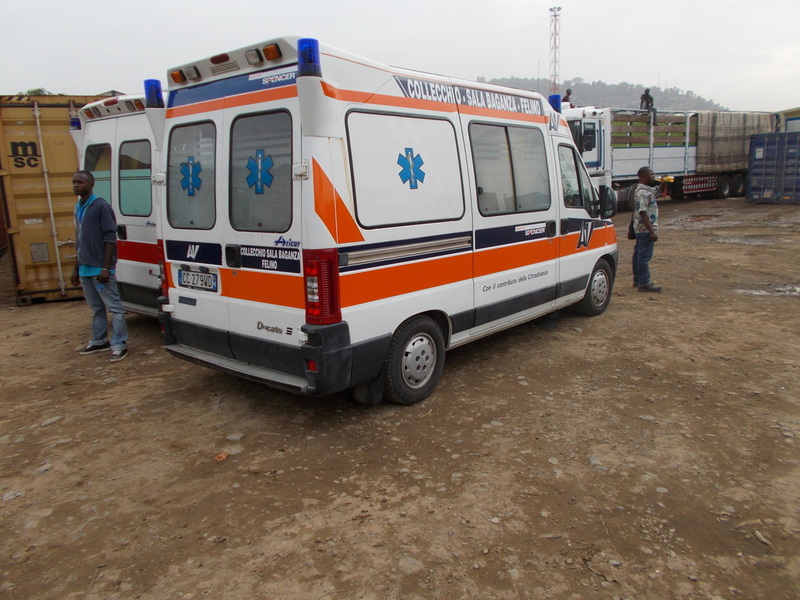 They will greatly enhance the working capacity of the Hospital and the survival chances of the patients. In the meantime the Hospital has been refurbished, the ward for in-patients reopened, and a level-three Biodiagnostic Laboratory for detection of ebola and other viruses, managed by a technical team trained under the supervision of Università di RomaTor Vergata, just installed. It will serve also as a Research and Learning Center for students of UNIMAK’s Public Health School and is the most scientifically advanced in the Country. The rate of Ebola infections in Makeni and all over Sierra Leone is decreasing and UNIMAK is preparing for reopening. 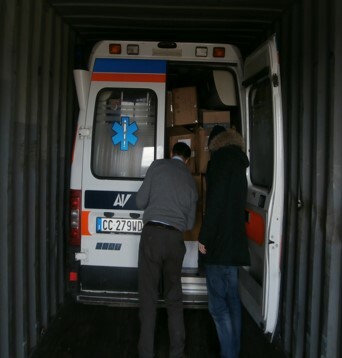 Two ambulances, loaded with medicines, disinfectants, protective clothing, and food, a donation of “Associazione Amici della Sierra Leone” of Parma, were shipped to Freetown, with final destination Makeni, Holy Spirit hospital. They are due to arrive in about four weeks. 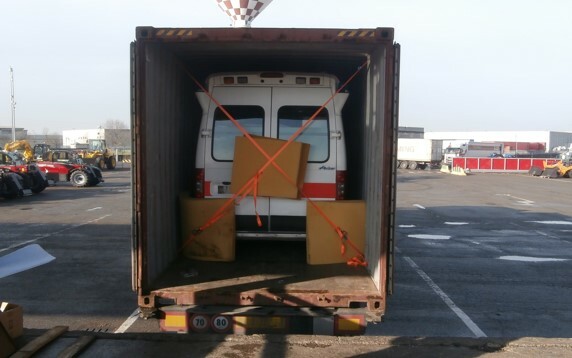 The shipment was taken care of, and its cost borne, by the Saint Lawrence Foundation. 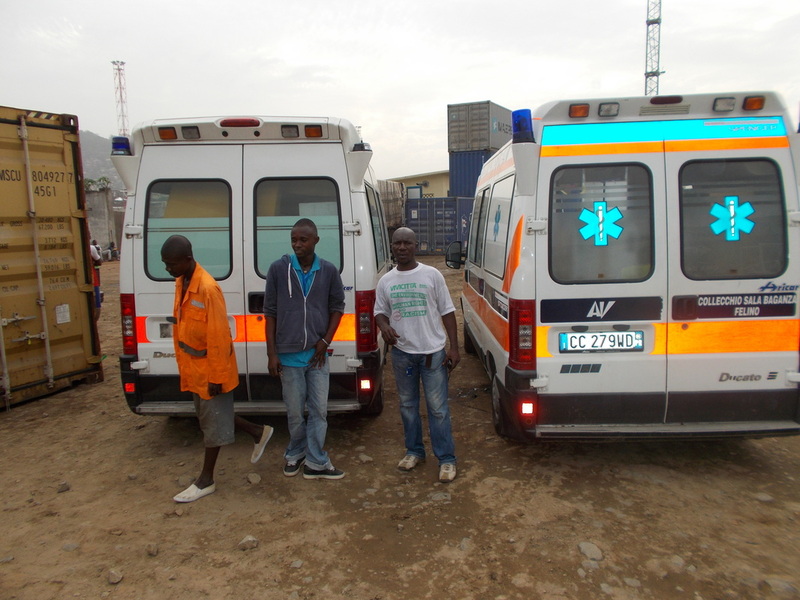 The ambulances will be of great help in the prompt transfer of Ebola patients to the special treatment centers. On occasion of the Christmas wishes traditional day in Rescaldina, at the headquarters of Global Service International srl mother company of the Saint Lawrence Foundation, Father Joseph Turay, deputy chancellor of the University of Makeni, addressed a video message to the gathered company staff. 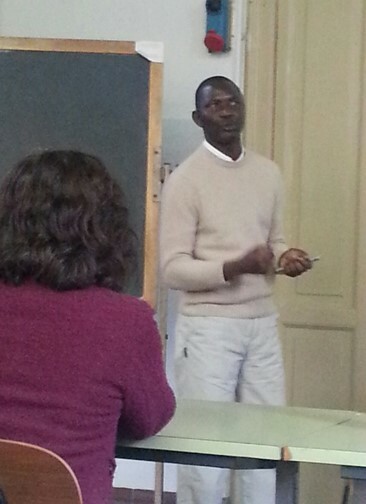 While thanking Global Service International and Saint Lawrence Foundation for their support to the diocese and the university of Makeni, he updated the audience on the situation of the Ebola epidemic which seems to be slowing down in terms of total new infection cases, but remains intense in the remote villages and in the Freetown area. He underlined the great efforts of diocese and university to respond to the crisis offering to the communities any possible help, both spiritual and material. Healso announced the forthcoming opening, at the diocese’s Holy Spirit hospital, of a laboratory for Ebola diagnostics that will notably shorten the time of confirmation of the suspected cases, thus enhancing the chances of survival. 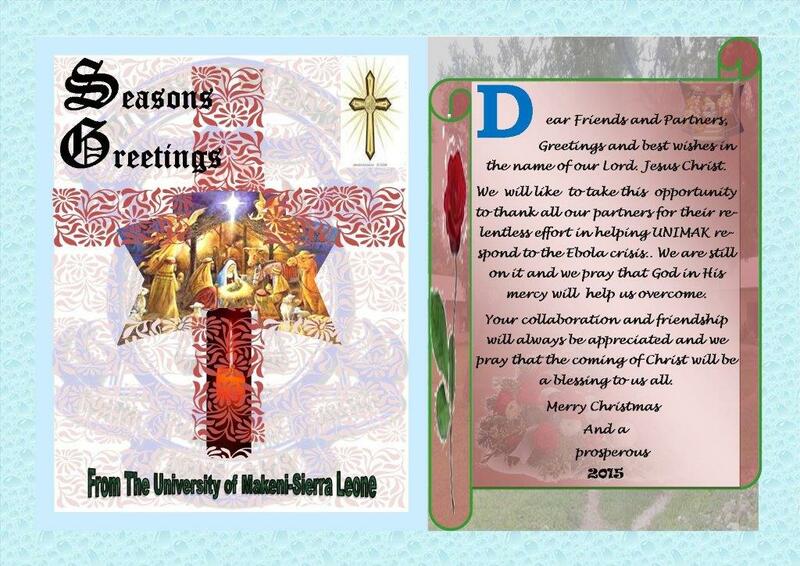 19th December 2014 - The University of Makeni, engaged on the front line in the battle against Ebola, sent its touching thanks and Christmas grretings to the Saint Lawrence foundation and to all friends and partners. As the fight against the deadly Ebola continues in his country, dr. Joseph b. Tholley, a sierraleonean agronomist, was awarded at UniMI, the PHD in agricultural sciences, after a three- year course of studies in Milan and “ on farm” research activities in Sierra Leone, with the foundation’s financial support. 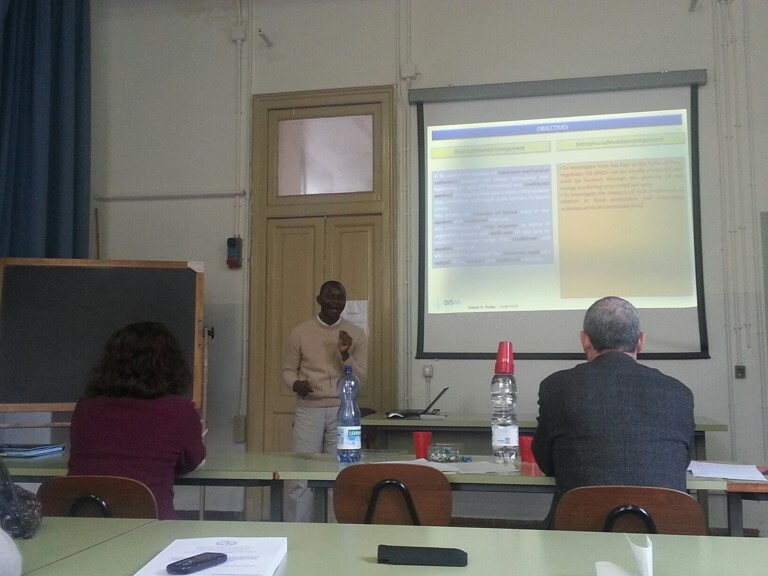 He presented, as doctoral thesis, an experimental work on “Integrated agricultural technology impacts on food and energy production with small scale farmers, at local community level, in the upland ecology of Sierra Leone” to a board of italian and foreign professors and a wide audience of colleagues and friends. The work, which includes multiple field tests of rice growing and fuel oil production derived from a special crop (jatropha), was unanimously recognized as an important contribution to the application of the experimental method in the devepopment of innovative cultivation techniques in Sierra Leone. Dr. Tholley was heartily greeted and hugged by his friends. He will immediately return to Makeni to help his fellow-citizens in the present emergency, and become a professor at the UNIMAK faculty of agriculture. Among other very interesting interventions, prof. Marco Fiala, dean of UNIMAK’s faculty of agriculture, presented the main features of the degree course in “Agricultural and Food Technology Sciences”, financed by the Saint Lawrence Foundation. The course was interrupted by the Ebola epidemic, when the third year was about to start. It will be resumed as soon as conditions at UNIMAK will get back to normal. Particularly moving the message of a student looking forward to the reopening of the university. Peace and Good. First of all, I apologize to you, colleagues and supporters of the Saint Lawrence Foundation, for this long silence. I want to make up for it with this report on what happened since I returned to Sierra Leone, after a period in Italy, on 30th July last. The Ebola virus, as you already know, appeared in Sierra Leone in May, coming into the Eastern Province of the country from Guinea; in the Northeastern Province, which coincides with the Diocese of Makeni, it arrived by the middle of July. From its arrival up to now, it has infected, according to official figures issued by the government, 4.967 people, out of which about 1.837 in the Diocese of Makeni. The deaths are 1.206, out of which nearly 600 in our Diocese. From the reports of my priests and religious, I am afraid that the real number is much higher. With the help of several people, among them also you, we can keep on with the various interventions that the Diocese is carrying out. On my return to Sierra Leone at the end of July, we have created the Diocesan Task Force; a group composed of the heads of the various Diocesan structures, and have organized our work in several directions. The first one is for increasing people’s awareness about the seriousness of the disease and the possibility to prevent infection. We have organized a workshop in every Parish of the Diocese to train leaders capable of conveying the message to the people of the Parish and of the villages. This is something that we have to carry out all the time, we cannot lower our guard, even where the virus was partially checked or did not yet arrive; you never know, it might come back or appear suddenly. As a matter of fact, in these days it has reached areas that until a week ago had not yet been touched. A second very important action is the support of the quarantined families where one or more members have died of Ebola or were found positive to the virus. This action is coordinated by each Parish, groups of lay people have been formed who, together with Parish priests, visit these families to give them hope and to bring them what they need. We try to complete what the government or other organizations are giving, which, however, sometimes is not enough. This action is very important to help families to respect the quarantine and it is clear that, if they do not have what they need, they will go around with the risk of infecting other people. Furthermore, we are facing the problem of the survivors, those people who having been found positive to the virus, were brought to specialized centers, treated and cured. The number of survivors, thank God, is higher than originally expected. Once back home, however, they must begin all over again, they realize that many of their belongings were burned, because dangerous, and then they have also to deal with the fear of family and friends, afraid that they can still infect. The Diocese is working hard to help some of them to start again and we have coordinated our efforts with the authorities so that everyone can receive help, some from the Diocese, some from other organizations. A further problem has arisen: that of the orphans, children who have lost one parent or both and have spent the quarantine in one of the isolation centers, there are three of them in Makeni. After the quarantine, they have to be reintegrated into the family. If one parent is alive it is easier, if both parents are dead, then you have to find a family that will welcome them, preferably a family of relatives, otherwise a family that will adopt them. We offer help to the family that welcomes them and a monthly support for a reasonable period, so that the orphans will not lack the necessities of life. In these days we are arranging a house so that five small brothers can stay together nursed by an aunt, chosen in agreement between the paternal and maternal family. We will finish the house, which is under construction; in exchange, the brothers will live in it free for ten years. Another line of action is the human and spiritual support to suffering people, to both ill people and their families, to those who have lost someone close. Material help is not enough, it is our duty to offer them a word of consolation and hope, to help them to have faith in a better future. At the beginning of the epidemic, dead persons were buried quickly and without dignity for fear of contagion. A few weeks ago, the government decided to change style and to allow the presence of some family members and of a religious leader (an imam, a pastor, or a priest). This is very important to be close to our people. We are very much insisting on priests and missionaries getting over the understandable fear and being close to suffering people, of course with due caution. Unfortunately nobody knows when this tragedy will come to an end, the number of infected people is increasing day by day, but I hope that, with the help of God, the end of this epidemic will come soon. Till now, here in the Northern Province, we have not yet a treatment center (one is under construction by the British government), neither a clinical laboratory, and this complicates things a lot. The Diocese, as you know, is engaged in installing a laboratory in the Holy Spirit Centre. I hope to send good news very soon. I thank you, and all of you, for your help. We received 10.000 Euros on September 10th and 6.000 Euros on October 28th (93.2 million Leons). + 3,500,000 Leons each to ten Parishes (35 million Leons) for assistance to quarantined families. The Parishes are those most affected by the virus. To each family we bring rice, palm oil, purified water, onions, chilli, dry fish, salt, and wood or charcoal for cooking. + 2,500,000 each to eight other Parishes with a lower incidence of number of families to be assisted (20 million Leons). + 5,000,000 to the Community of the Brothers of St. John of God, quarantined after the death of Father Dr. Manuel García Viejo. + 10,000,000 to Unimak for assistance to persons "hospitalized" in the Holding Centres of Makeni. + 10,000,000 to the Holy Spirit Hospital, in support of their efforts to increase awareness of the people; they have distributed a lot of material to prevent contagion, single-use gloves, chlorine, soap, thermometers, etc. I still have available 13.2 million Leons (approximately 2,260 Euros) that I will use for the care of orphans. I sincerely thank you, your co-workers, and all the people that, through the Saint Lawrence Foundation, are close to us in this difficult situation and are helping us. I promise to all my prayer, with the certainty that the "just reward" will be given to us by the Heavenly Father". Peace and good. Only yesterday I was able to return to a nearly normal rhythm of work, unfortunately the frequent malaria put me in knockout. Many thanks to all of you for your solidarity in this moment of "suffering" for our country, I think that no one has imagined a tragedy of this kind, and what makes us suffering a lot is that we don’t know when it will end. Just yesterday I had a meeting with the doctor in charge of coordinating the fight against Ebola in the Bombali District and I made him a specific question: are there signs of improvement? The answer was "not yet". Unfortunately, here in the Northern Province, which includes the five boroughs, there is no treatment center and even no clinical laboratory, the British and the international community are moving but, in my opinion, too slowly. If everything proceed in the right direction we will have those at the end of November and in the meantime ... people die. Our efforts to help families in quarantine is based on the action of 25 parishes throughout the diocese, which coincides with the Northern Province of the country. There is a coordination of the diocesan, the Diocesan Task Force, composed of the Director of Caritas, the Director of the Diocesan Commission for Justice and Peace, the Director of the Holy Spirit Hospital, the Vice Chancellor of Unimak, the Diocesan bursar and I am the head of this commission. We've visited all the parishes to get closer to the reality and to tell pastors how to coordinate the awareness of the people in order to show them how to prevent the infection and how to distribute the assistance to the families in quarantine. In every parish, we have organized a workshop for the leaders of the parish and the various villages so that they bring the message to the people, especially on how to prevent the infection and how to deal with those who are in quarantine. A very important aspect is the pastoral one, we insisted with the pastors and leaders of the villages to be bearers of hope, our people need to be supported in this aspect. At this moment there are 853 homes in the Diocese quarantined, 4395 people are living there, these homes are located in 157 different cities or villages. Until now, officially, there have been 1,224 cases of infection, the dead people are almost 400. From what we heard during the visit to the parishes the real data is much higher. The government, with the support of the international community, especially the World Food Program of the United Nations, tries to give some assistance to the families but, unfortunately they cannot arrive everywhere and what they are doing is not enough. We try to help where they are missing, to ensure that people have the bare minimum and that they stay in their homes (it is clear that if people do not have the essential they will search for this and spread the virus). On the average we spend about € 10,000 a week to buy the food that families need (rice, palm oil, salt, onions, seasoning/nuts, peanuts), disinfectants, and kitchen utensils, so that everyone will have his own plate and his cutlery (to prevent contamination between them). In case of illness, not Ebola, our hospital give portions of medicine. Now we are supporting also those who have been treated of Ebola (survivors) with financial assistance, to restart life, and the families that accept/adopt orphans, also here with financial assistance and we are only at the beginning. 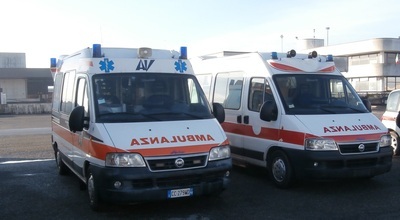 Regarding for the laboratory we are discussing with the government and Spallanzani in Rome. In two weeks we should have a delegation from the Italian Foreign Ministry in Sierra Leone and I asked to the Ambassador to put a visit to Makeni on their agenda, we hope for this. If you need more information let me know, malaria should stay far away for a while. Warm greetings to all and a big thank you. Pray for us, this is the first necessity and it’s... free of charge. On February 15th, the University of Makeni staged, in the Fatima Campus, its Convocation Day during which the Chancellor conferred 103 Bachelor Degree and Post-graduate Diplomas, including the new Masters in Sustainable Development. The ceremony was the occasion for the official inauguration by the Chancellor and two Professors of the Milan University of the new Faculty of Agriculture (active since October 2012) and of its new Building, both financed by the Saint Lawrence Foundation. 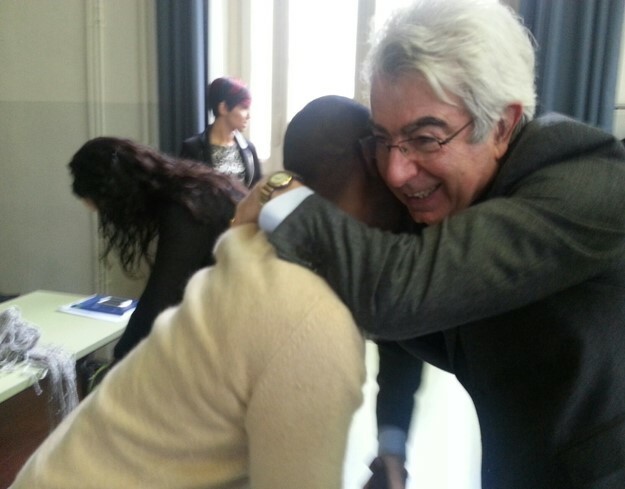 Two top managers of ALTIS, the Management High School of Università Cattolica, attending the Convocation Day, also announced the launch at UNIMAK of an innovative Master in Social Business Administration, in the second half of 2014. This Master, especially focused on Agriculture and Sustainable Energy, will make use of some UNIMAK infrastructures and staff and is intended to train young Social Entrepreneurs by functioning as Incubator of their business ideas. The Director General of United Nations Industrial Development Organization (UNIDO), Dr. Kandeh K. Yumkella, chaired, through video conference, a Round Table on Corporate Social Responsibility at the 2012 PET DAY Conference hosted by Global Service International, mother Company of the Saint Lawrence Foundation, at the Artimino Villa, near Florence (Italy). Addressing the business owners and top managers coming from all over the world to attend the Conference, Dr. Yumkella maintained that Sustainable Development backed up by Corporate Social Responsibility should become the new business paradigm, ensuring more food availability to meet the challenges of the growing world population. Dr. Francesco Zanchi, CEO of Global Service International and founder of Saint Lawrence Foundation, pointed out that the Foundation was established for supporting the University of Makeni and, through it, helping the growth of local communities. He also highlighted the need for promoting at UNIMAK Social Entrepreneurship in order to make Sierra Leoneans benefit from young and well-motivated leaders and managers willing and able to work for the sake of their people. 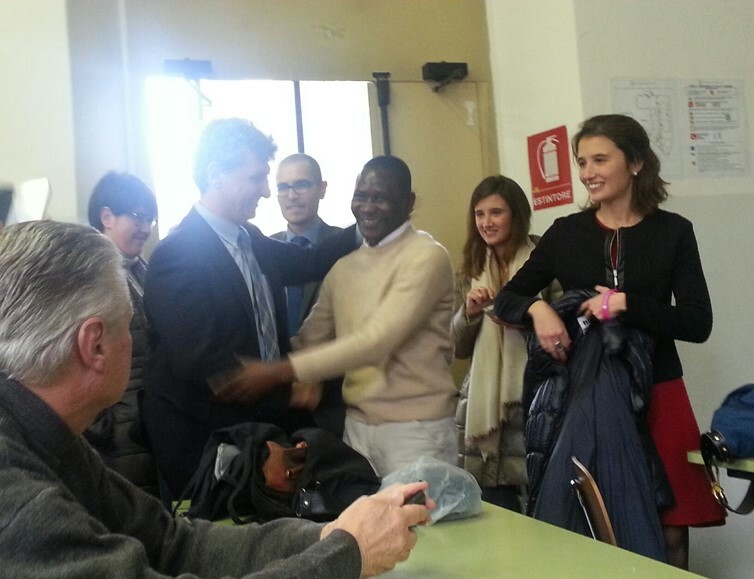 On June 1st, at the Chancellor Office of the Milan University, there was the ceremony of the official signature of the Agreement for the establishment of a Faculty of Agriculture at the University of Makeni. The lessons of the first four-year Degree Course in Agricultural and Food Technology Sciences, held by Italian Professors of the Milan University at Saint Lawrence Foundation’s expense, will start by next October and the first Degree Cycle will terminate in June 2016. At the same time, local lecturers will be prepared to gradually replace the Italian ones. The opening ceremony of a new large Hostel financed by the Foundation, complete with all the furniture, and capable of accommodating 60 female students, took place at UNIMAK in the presence of the Chancellor, of the University Staff, and of cheering students. "The New Frontier of Management: The Social Business"
About 150 Company owners and top managers, convened in the Artinino Villa near Florence (Italy) for the 2011 PET DAY Conference organized by the Global Service International, mother Company of the Saint Lawrence Foundation, attended Prof. M. Yunus’ opening speech and discussed with him and other guests at a Round Table on “Social Business”. Prof. Yunus, a forerunner and a successful leader, explained the principles of Social Business, which, though providing self-sustainability of the Enteprise, should be mainly focused on overcoming poverty and its related problems, not on profit maximization. He also underlined how this idea can attract the interest of young educated people, especially in developing countries, encouraging them to change from “job seekers” into “job creators”. In order to relieve the painful scarcity of food, the Foundation has financed the distribution of 15.000Kg of rice to the poorest communities of the Makeni district. The third of three big buildings, financed by the Foundation, each having eight large spaces for shops, restaurants, and private offices on the ground floor, and eight apartments on the first floor, was completed within the Fatima Campus of UNIMAK. The collected rents will contribute to University expenditures.